To reserve a spot in a DeepFeet Bar Therapy workshop, a non-refundable deposit is required and payed directly to DeepFeet Bar Therapy. 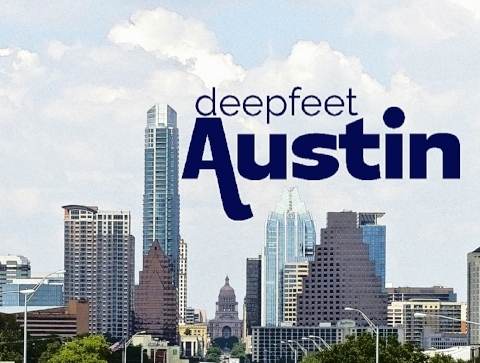 After your deposit is received, you will get a confirmation that you are registered for class, and DeepFeet Austin will contact you 2 weeks prior to your scheduled workshop. The balance is due 2 weeks before the start of class. You can pay the balance for your class online, or by check in the mail. In the event that less than four students are registered for class, we reserve the right to cancel the class up to 2 weeks prior to the start date. We may offer a private training for up to $200 per student, or students can choose a 100% refund or roll your deposit over to a future training with no penalties. We will refund 100% of your deposit if any cancelled workshop is due to our responsibility. If you cancel out of the workshop you registered for, your deposit is non-refundable. In the event of a healthcare emergency, pregnancy, or injury with doctor's note, you may roll over your tuition to a future training. At least one week notice is required and the roll over fee is $75. The art of learning fluid effluerage strokes with the feet can be both mentally and physically challenging. A successful learning environment depends on everyone participating as a team. If you have any concerns with weight, coordination, sight, hearing, learning disabilities, language barriers, or any special requirements or health conditions that may interfere with learning, please contact us before registering for a class. Our number one priority is client and therapist safety. Whether you are male or female, any therapist that weighs over 200 pounds should contact DeepFeet to discuss fitness levels and upper body/core strength needed to deliver a comfortable session to your receiving partner the first two days of class. If you are pregnant or trying to conceive, please wait until after you deliver the baby to attend any training. Ashiatsu is contraindicated for all pregnancy situations. If you've had any type of implants or major surgeries within 9 months, please confirm with your physician that DEEP, gravity assisted compressive massage is not contraindicated for your condition. Ashiatsu DeepFeet Bar Therapy, Ashi-Thai and all logos, trademarks, designs are copyrighted material and may not be used without permission. All rights reserved for DeepFeet Austin, logos, pictures used on the website. Exception is noted on the Things to Do in Austin page with use of Creative Commons images that are free to use commercially with proper attribution.